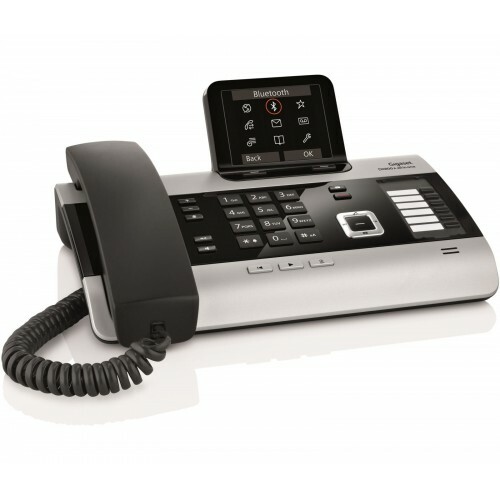 The Gigaset DX800A all in one is a professional multiline desktop phone ideally suited to small and/or home office environments. 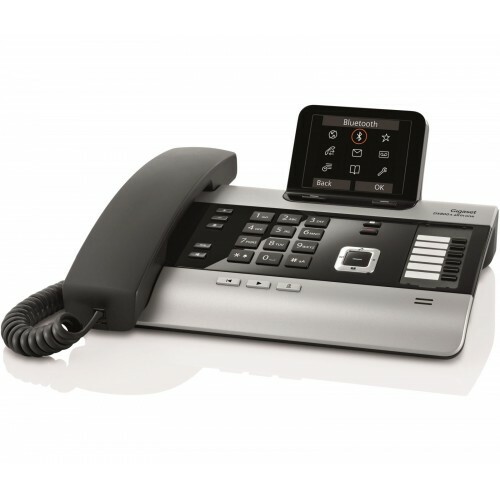 The stylishly executive design is enhanced by a large 3.5” colour interface, and with its hybrid credentials the DX800A can be configured for IP with ISDN, or IP with fixed line to support up to 4 parallel calls. Contacts can be managed easily via the phonebook (with space for up to 1,000 entries), which can be conveniently synchronised with your address book on Outlook. 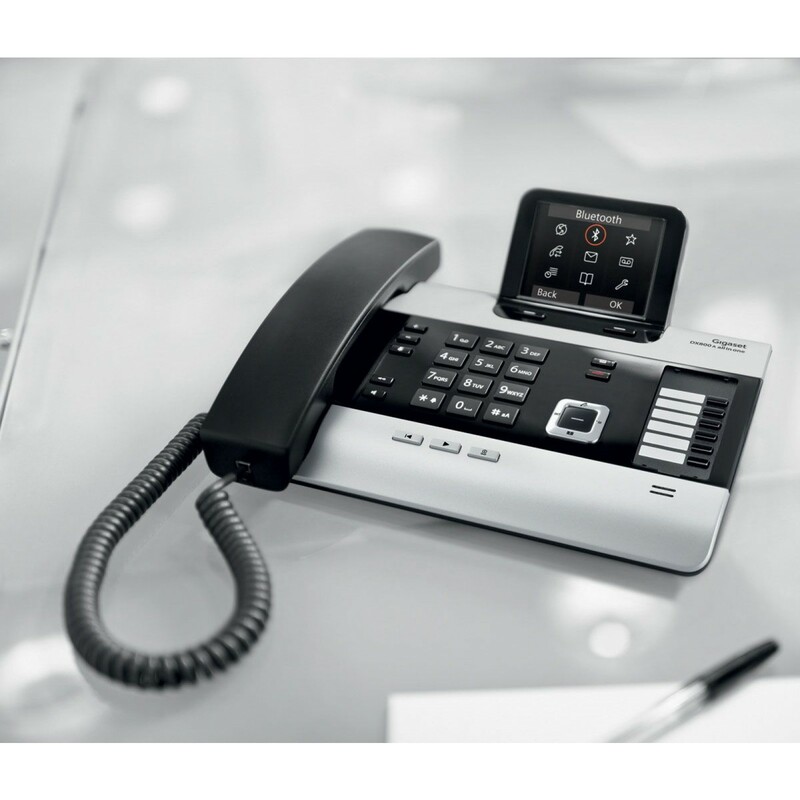 The integrated answering machine provides up to 55 minutes of recording time; furthermore, the DX800A can also incorporate up to six additional cordless handset so can be expanded to meet the growing demands of your business. The DX800A boasts three integrated answering machines with a total recording time of up to 55 minutes, and messages can be split over three phone numbers and configured individually. New messages are highlighted on the large TFT colour display, and you can set up an SMS notification so you can be alerted when away and dial in to listen to messages remotely. 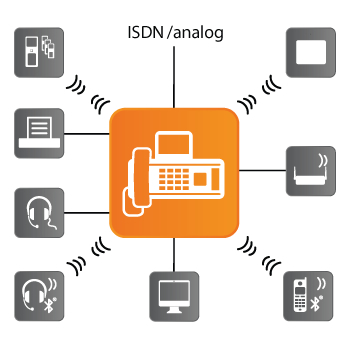 Offering the flexibility for phoning via IP with either a fixed analogue line or ISDN, the DX800A has the capacity for up to six SIP accounts and four calls simultaneously (3 VoIP and 1 fixed line, 2 VoIP and 2 ISDN lines, or up to 4 VoIP lines). 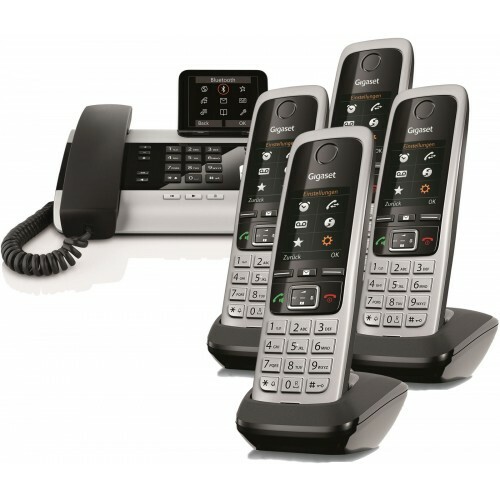 It is also possible to connect your mobile via Bluetooth and the Link2mobile function, which enables you to answer calls to your mobile comfortably on the deskphone and make outgoing calls over your mobile network for greater unity of your telecommunication. And when connected to the computer via the Ethernet port, the Gigaset DX800A also facilitates direct dialling (CTI) from Microsoft Outlook. 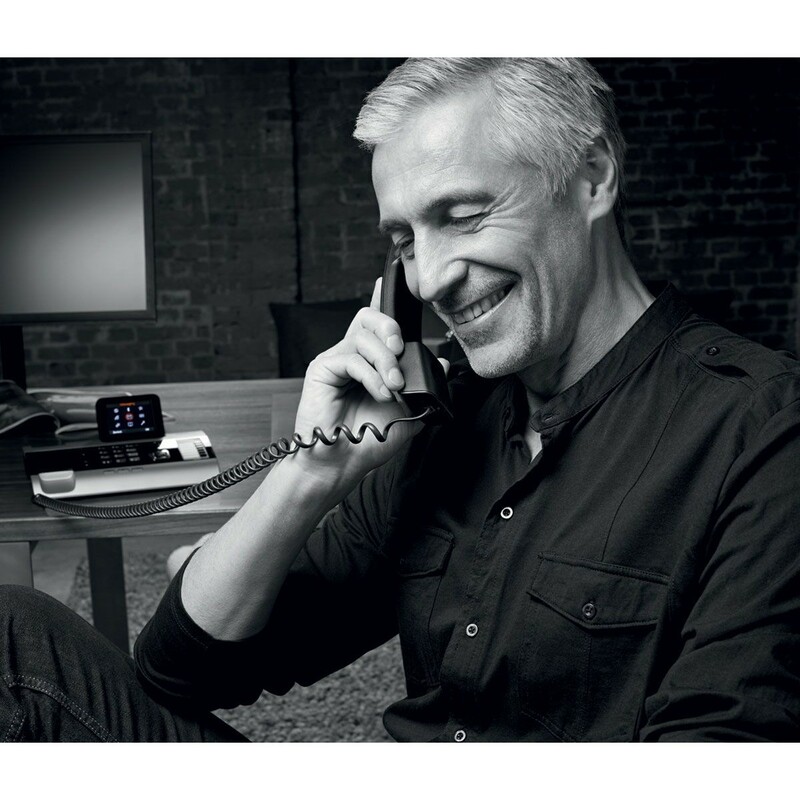 With the DX800A you can expect to enjoy all your calls in high definition, regardless of which line you are using; HDSP (High Definition Sound Performance) technology enhances voice transmission when talking over a VoIP line for brilliant clarity. And excellent hands-free options include a full-duplex loudspeaker with outstanding sound, or headset compatibility via 2.5mm socket or Bluetooth.